OMG Fact: In the movie Dune, the suits worn by the Guild members were body bags that were found in a disused fire station dating back to the early 1920′s. The bags had actually been used several times, something that was kept from the cast members until after shooting was completed. OMG Fact: Sports bras were invented when women sewed two jock straps together and slung them over their shoulders. 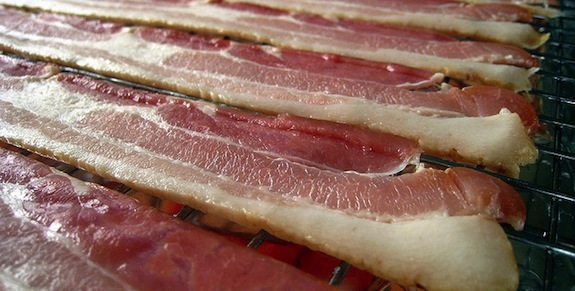 OMG FACT: You think you want bacon therapy. You do not. It involves doctors shoving pieces of raw meat into the breathing hole of worms living under your skin, which both entices the worm towards the bacon and blocks its air supply.